A quick word with one of the guys working on the piazza and I discovered that the hoped for ‘next week’ completion is probably more like three weeks. But, hey ho, it will still be finished in time for Easter. 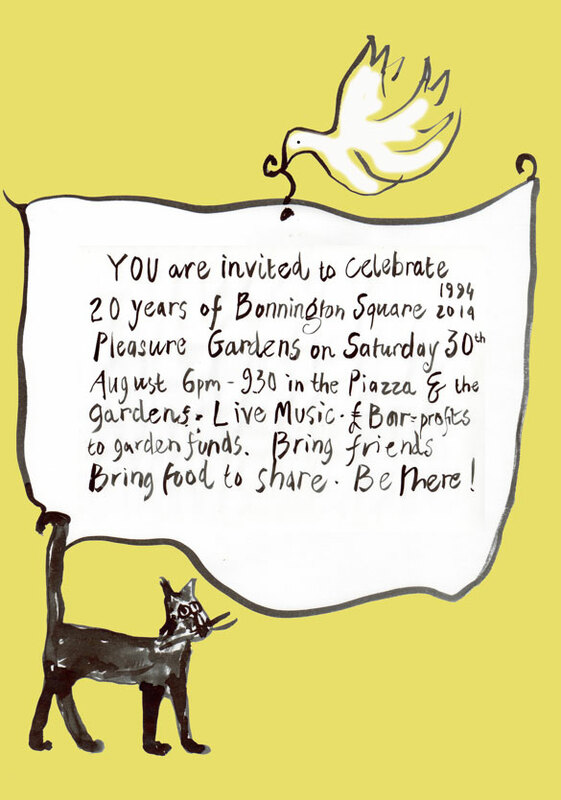 What a deserved boost for residents of the Square and for Italo and the Bonnington Square cafe. 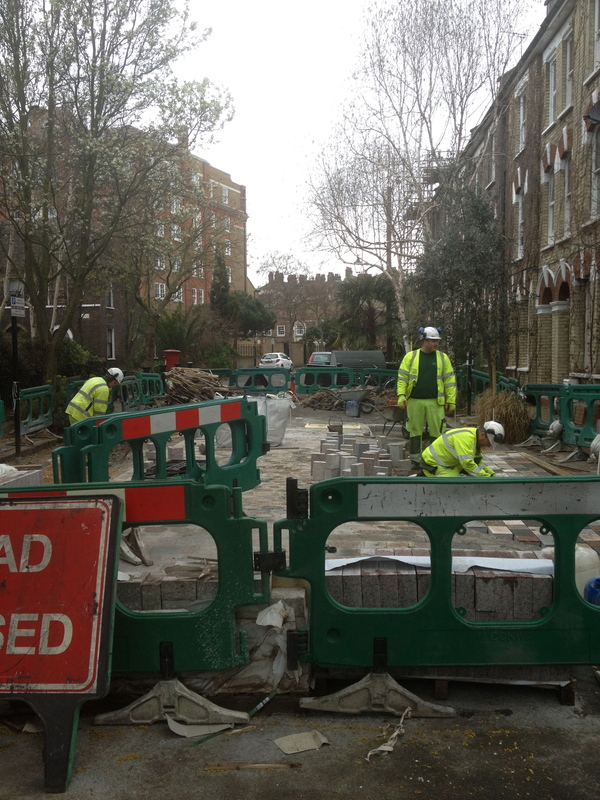 The Bonnington Square Piazza – Hold On, It’s Coming (with only partial apologies to Sam & Dave). 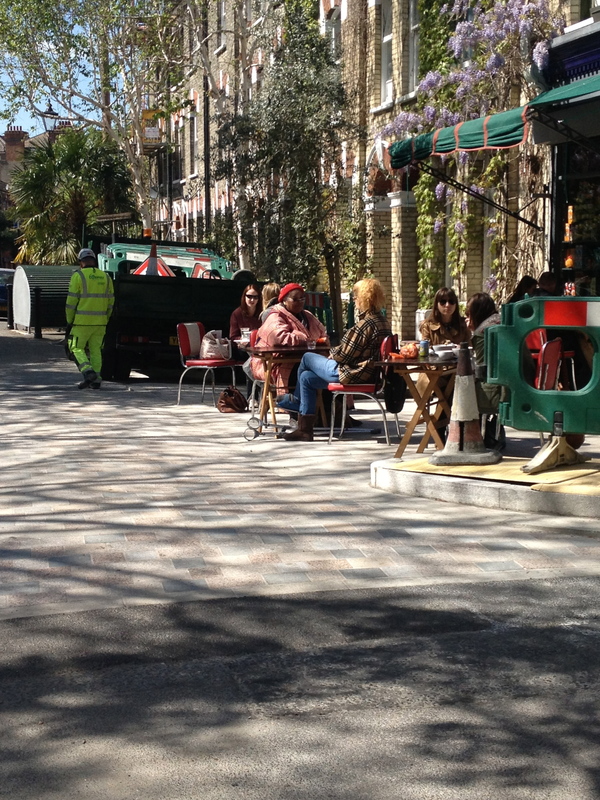 We mentioned in October last year that plans were afoot to improve Bonnington Square with the addition of a piazza. Following consultations with local residents, primarily focused around traffic flows and parking issues (which we also suggested as possible issues) the production of working drawings has been passed to outside consultants. If all goes according to plan we should see work commence in Springtime. No completion date has been given yet but hopefully everything will be in place by Summer. Imagine if a community took over an abandoned square and restored its houses and communal areas to their former glory, planted mimosa, beech and mulberry trees, lavender, vines, ferns and palms where there had been a derelict playground, and turned the whole square into an oasis of peace and beauty. Imagine they started a café and community centre where volunteers fed the residents vegan food while they rebuilt the kitchens in their derelict homes. Then imagine one of London’s finest delis and cafes opened on the square. 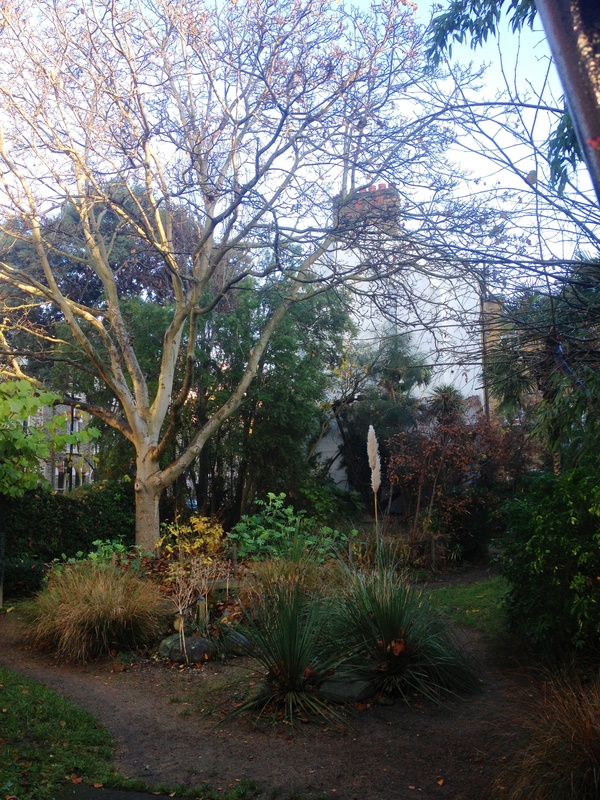 Imagine no longer – this is Bonnington Square in West Kennington, a magical, tranquil yet vibrant area, just yards from the noise of the Vauxhall gyratory. The only thing you might have to imagine is the part where Coalition politicians make the short walk from Parliament to Bonnington Square, then have an epiphany about the positive side of squatting. The square was built in the 1870s, and was earmarked for demolition in the late 1970s, until squatters moved in. This video from The Guardian’s website tells the story of the remarkable work the squatters carried out. Not bad for a former WWII bomb site. Channel 4 gardener Dan Pearson was amongst the residents responsible for it. In 1998 the squats were legitimised when the housing cooperative the squatters had formed was allowed to purchase the buildings. Nowadays Bonnington Square is one of the most desireable addresses in London thanks to its beautiful houses and gardens, its location, the Bonnington Cafe, and Italo Deli. Oh, and there’s a ley line running directly through the square, which also takes in Brunswick House, Sally White and lane seven of the Palace Bowl in Elephant & Castle Shopping Centre. Bee Ridgway writes evocatively about her time staying on Bonnington Square here.